As bad as it is, many people struggle to stay hydrated. Don’t let that be you. 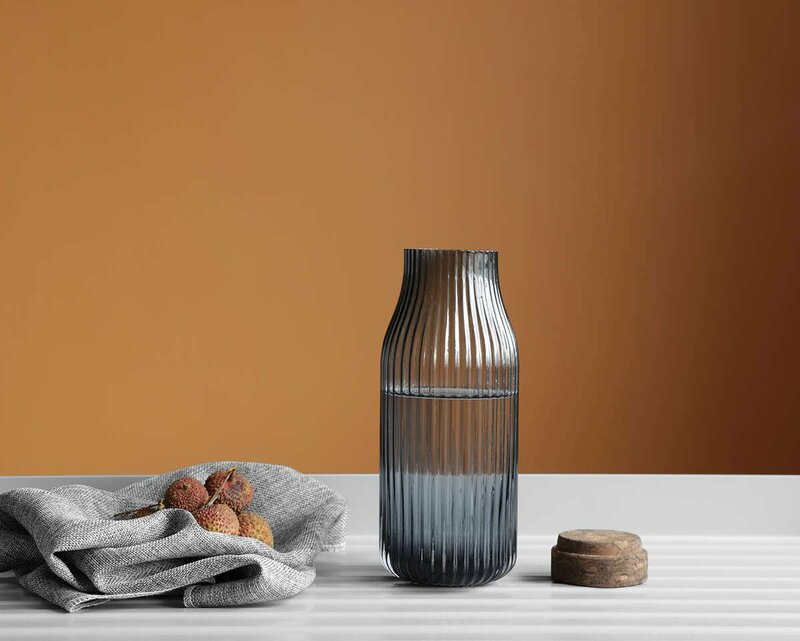 Be inspired to drink water everyday with the Christian Carafe. This solid glass vessel will keep you coming back with its uniquely textured exterior and hand-crafted charm. Size: L: 9.5 cm - H: 25.0 cm - Vol: 1.10 L / 37.00 fl. oz. What is this carafe made of? 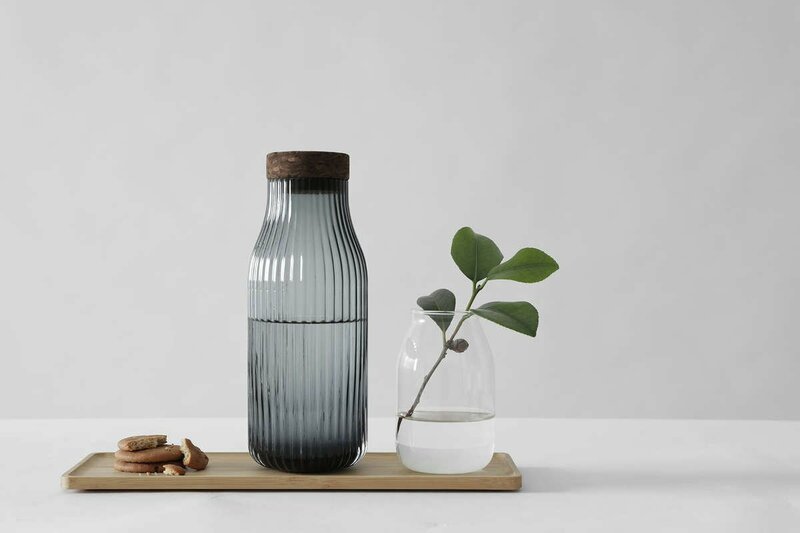 This carafe is made from our premium Vitriluma borosilicate glass and the lid is made from our own Biotera cork. These natural materials look at home in any space. Is this carafe dishwasher safe? The glass body of the carafe is dishwasher safe. The cork lid should be hand-washed, as cork is a natural material that may degrade in the dishwasher. How big is this carafe? This carafe can hold up to 1.1 litres of your favourite beverage. Keep a batch in your fridge so you can enjoy it anytime. Will this carafe fit in my fridge door? 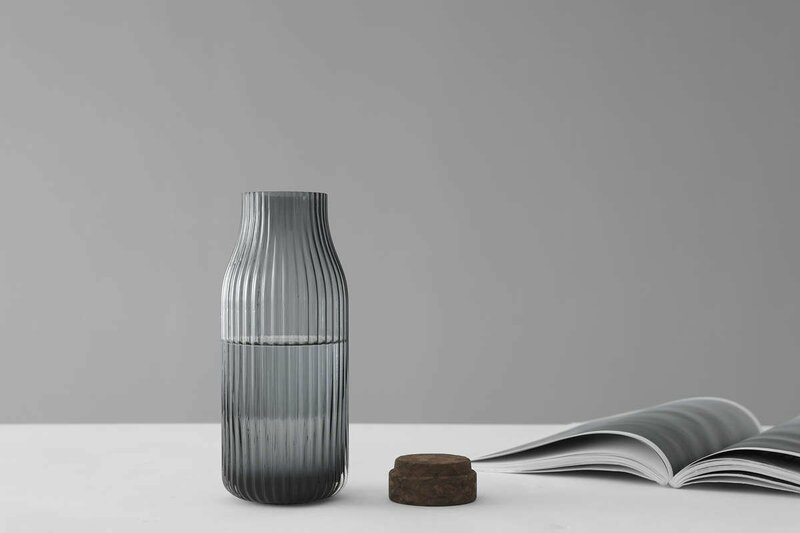 The widest part of the carafe is 9.5 cm wide, about as wide as a wine bottle. This will fit easily in most refrigerator doors. How many glasses of water will this yield? The Christian Water Carafe will yield around four standard glasses of water. Plenty for everyone!